Welcome to the Transformation Goddess: Divine Feminine Spotlight for June! Today it’s my pleasure to introduce you to the soulful and beautiful Ara Campbell. 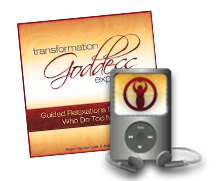 I recommend you carve out 30 minutes to listen to our intimate conversation and receive the full energetic connection of our transformational time together. I know you will enjoy Ara’s creative energy. This goddess shines! Thank you so much for inviting me to talk with you, it’s an honor to be here. 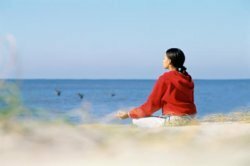 Over the last year, the evolution that has taken place both in my experiences in The Goddess Circle and in my own life, I feel a continued deep dive into the well of my own truth. There’s an allowing that keeps drawing me in and bringing me to places I never knew existed. I feel such a profound stripping away of the old shrouds that once concealed my voice and truth. I feel more and more everyday the old habit of “playing small” lifting from my world. This is something that I want more than anything to be able to help on other’s path, to guide them back to their truth and their voices. This is the call and the medicine that I want to bring into being, to be able to be a midwife of truth for others as well as continue with myself. 1) Writing, painting & photography for me are deep spiritual practices, that bring me right into the flow of the divine feminine and her expression of beauty, creativity and truth in this world. I can happily lose days at a time with a pen, paintbrush or camera in my hand. 2) Communion with nature has always been a big one for me. Ever since I was a child the outdoors has been my altar of worship, the connection to the divine for me. It’s been a channel right into the heart of the deep medicine of the Earth, so I spend as much time in it as I can. 3) I create so many altars and places of focused intention in my home and yard, I find them powerful touchstones and places for me to take a moment and really get back in touch with the present. Plus they make amazing ways for us to have a very powerful container of sacred energy and creation. 4) Yoga for me is a powerful way of dropping back into my body and reconnecting. I find that I am amazed what our bodies are capable of, and many of the more challenging poses have been stepping stones of allowing into my own life in doing something that my mind thinks is impossible. Once you see impossible is just a way of thinking, a whole infinite possibility opens on and off the mat. 5) Music & dance: I dance around my house and yard a lot and always listen to music. I’m not really well versed in what movements I’m making or have any real skill at it; It’s less important what the steps look like to me and more with what wants to come through in that moment of embodiment as expression and feeling. For me it’s about bringing a daily integration of sacred feminine rituals into my life and having them a part of my everyday world. When I bring aspects of present consciousness into everything, each breath is a dance with the divine. Even something as simple as setting the table becomes sacred with flowers, crystals and candles. It’s about the intention for me and the presence. My relationship to my body is one of new found appreciation and wonder. After many years of being in a place of judgement due to societal ideals and perceived beliefs on what it should look like, I’ve moved back into a place of being in awe and reverence of my temple. Being much more in tune with it and listening to it instead of putting it under severe scrutiny has brought me into a place where I embrace the deep wisdom of the sacred feminine body and what it is telling me. Instead of being in such harsh judgement of it, I find such a deep magic and amazement at what our bodies can do, all that they provide for us in the way of being an instrument of pleasure, of creation, a guiding compass of knowing and intuition. One of the powerful truths we need to cultivate is moving into a place of accepting, embracing and celebrating our sexuality as sacred and not as something that needs to be watered down and kept hidden. Our wild, sensual selves are so powerful and this is so much deep truth when we move into a place of really seeing ourselves as sexual beings. I feel a connection to deep and primal power when I am in alignment to my sexual self. It’s a natural flow and one that we have been expected to be ashamed of for far too long. I feel a strong connection to the unification of mind, body, spirit and heart when it comes to sacred sexuality and believe when we are in truth with ourselves, this aspect of ourselves is expressed much clearer. I think in my continued dedication to my truth is where this lies for me and in the examining and shedding of old beliefs and paradigms. Embracing all that I am, in each moment, allowing feeling and allowing myself to be. Not holding in my voice, my truth and breaking up with the games that society wants us to play, the competition the judgement the jealousy. I broke up with those things the day that I claimed the crown of my feminine sovereignty and I continue to walk that path. I really try to live each day from deep in my soul with my eyes wide and heart open. I make every day a dedication to truth and love. I think to walk in beauty is to walk in the truth of all that we are, embracing all aspects of ourselves and giving our voice permission to be heard and our truth the light it needs to be seen. I think it’s an allowing of love for ourselves and all that we are. I think it’s a deep dive into the wonder of our own mystical beings. 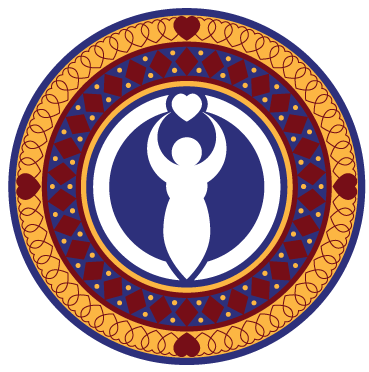 What was your Inspiration for creating The Goddess Circle and your upcoming Online Priestess Program? Everything that I have been inspired to do so far has been a direct result of opening myself up to the flow of the divine feminine within and around me. All that I want to create, to bring into being, everything that I strive to do is a reflection and co-creation with that deep well of feminine flow. I’m inspired daily by everything that unfolds around me. I long for a world where we are all free to embrace ourselves; our voices, our medicine, our hearts, our individual truth and our own brilliant light. And I want to be able to do whatever I can to make that possible for as many people as I can, however that looks. The path may shift slightly, but the intention will stay the same. Everything that has sprung forth from that well up until now has been in alignment with that purpose, and everything that I have planned for the future will continue to be focused there. I see what I do as a channel, an open allowing to the creative force of the universe to be able to give voice to whatever it is that is wanting to come through at that time to be able to aid in whatever way it can. 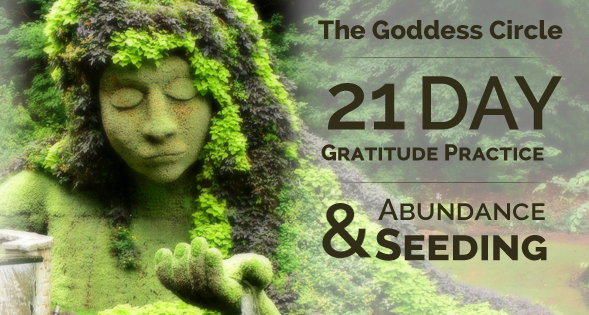 I would love to share The Goddess Circle’s 21 Day Gratitude Practice & Abundance Seeding which is a self-guided journey filled with life altering practices and photographic affirmations which inspire and empower over the period of 21 days. In gratefulness, we cultivate abundance. When we come from a place of gratitude, we put ourselves in alignment with our true selves and open to infinite possibility. When we are open to our own possibility, our truth and medicine flow. Gratitude is one of the stepping stones in the direction of our deepest truth. We practiced this on Facebook in March 2015, and 4,500 people participated, with remarkable reviews. I’m so happy to be able to share it with everyone and look forward to the next offerings that are going to be coming soon. All are welcome to contact me through our website: www.thegoddesscircle.net or our Goddess Circle Facebook page. We are currently booking Divine Feminine Spotlight Features for 2016. 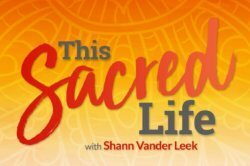 Amplify your Sacred Feminine Wisdom >> HERE. I really enjoyed this ” I create so many altars and places of focused intention in my home and yard, I find them powerful touchstones and places for me to take a moment and really get back in touch with the present. Plus they make amazing ways for us to have a very powerful container of sacred energy and creation.”. Welcome to the circle of transformation! What’s are you going to put on your altar? Yes, creativity for me is a spiritual practice, one that I enjoy frequently. Embracing truth on all levels of our being… Thanks for sharing this beautiful conversation. I am happy I have discovered the Divine Feminine Spotlight and I am also happy to learn about Ava Campbell. I also work with the Divine Feminine energy and it is wonderful to see so many beautiful women embracing their feminine wisdom. I believe this is how we change the world, one awakened Goddess at a time. Thanks for stopping by. When women come together in community, we can change the world. Big LOVE! Thank you! Here’s speaking our truth and living life on our own terms.